Yesterday, I was really excited to get a response from Matt at Big Cartel about my Etsy vs. Big Cartel blog post. He had a bit of feedback on the couple of cons I listed for Big Cartel. Chalk that up as one more pro for Big Cartel and one more con for Etsy! But before I go over the feedback, I wanted to make one point clear. In my first blog post, it seemed as though I was comparing Big Cartel and Etsy in an “apples to apples” kind of way. That’s not the case at all. 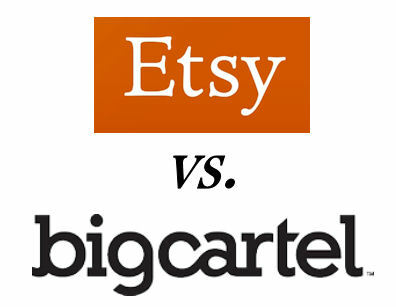 Big Cartel and Etsy are completely different animals… or fruits, if you like the apples to apples thing. The only similarity between the two is that you can sell your handmade art through each. I want you to take this as more of an “apples to oranges” comparison: if you need fiber, eat apples; if you need vitamin C, eat oranges. They each fulfill different needs. With that said, here are the updates. In my last blog post, one of the cons I listed about Big Cartel is the fact that there is no detail in the sold item feature. Really, it’s not that big of a deal. PayPal has that info and I can track it myself — it would just be nice to have the sales information available on the dashboard. Matt said this is something Big Cartel is currently working on now, so yay! Matt also addressed my comments on the Big Cartel store directory. My main con with regards to the directory was that you can’t search for particular items, just individual stores. Matt’s response was that they had not intended for the directory to be a shopping destination and are not looking to become a community like Etsy. I can certainly appreciate that! Part of the reason I was attracted to Big Cartel in the first place was because it wasn’t a community. I’ve built up a community around myself and I’m super happy with it! Etsy has too much drama. I think most any social marketplace is going to have drama, and Big Cartel does well to avoid putting themselves in that position. I hope that clears up any confusion. Thank you, everyone, for your questions and comments on my previous post! 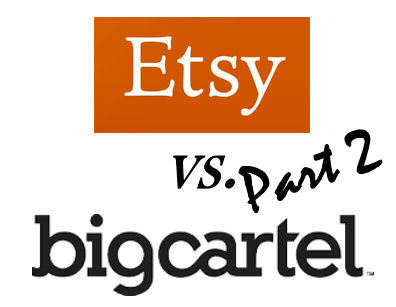 Etsy vs. Big Cartel: Which One is Best for You? Since I joined Big Cartel and took most of my handmade jewelry off of Etsy, I’ve had a lot of people ask me questions that basically amount to “Which is better? Big Cartel or Etsy?” Now that I’ve had my website up at Big Cartel for a little over a month, I think I have enough information on both venues to compare them for you. Let’s start by taking a look at some of the pros and cons of Etsy. Aside from the storefront itself, Etsy offers a wealth of information on how to market yourself, how to take good product photos, how to write listings, and anything else you need to know. Etsy has put a lot of effort into teaching their customers how to market themselves to be successful. They have all kinds of tools and widgets that work in conjunction with social media, and have become a viable social media platform themselves. On top of all of the tools they offer you to market yourself, Etsy also does a lot of promotion for individual shops, too. Etsy tweets shop listings and promotes them on Facebook, but that’s not all. They also promote shops on their front page, in the Etsy blog, in Etsy Finds emails, and they even do write-ups for featured sellers. If you’re new to selling online and you’re trying to build up a fan base, Etsy’s marketing and promotion tools are extremely useful. Remember when I said that Etsy has become a viable social media platform? Etsy is huge on networking, and they want to make it easy for you to do the same. When I first opened my Etsy shop in 2008, I didn’t really understand networking and why it was important. Now, four years later, I have built a huge network of friends and acquaintances, the vast majority of whom I came in contact with through Etsy. To help you network, Etsy provides forums, an activity feed (which is kind of like Facebook or Twitter, but without the ability to “Like” or leave comments), the Etsy convo system, and teams. Ah, teams! Glorious teams! I highly recommend that anyone with a shop on Etsy find themselves a team to join and be an active member. There are teams for just about anything. If you can’t find a team that suits you, make one! I am on two teams: EMC (Etsy Metal Clay), and the Etsy Metal Team. These teams, the friends I’ve made, and the exposure to other artists in my field have been invaluable to me. If there’s one thing I’m thankful to Etsy for, it’s for showing me the value of networking and teaching me how to do it. Etsy has a great search feature. You can narrow it down by vintage, handmade, supplies, people and shops, or even look for specific items in your favorites. Etsy’s search feature is great because it makes it really easy for your items to be found. If you use your tags and titles the way Etsy suggests is best, you’re bound to rank high in the searches. There’s even a syndicate feature which helps your items get found through Google searches. Setting up an Etsy shop is pretty easy. It really amounts to clicking this setting, filling in that box, and uploading a banner and an avatar. If you’re not sure how to make a banner and avatar, there are Etsy sellers who provide that service. You can have a new Etsy shop ready to start selling within an hour of signing up. Etsy doesn’t charge monthly fees. There’s no fee to sign up and there’s no fee to cancel. This is perfect for someone brand new to the online selling scene. But that doesn’t mean Etsy is 100 percent free. So how much does Etsy charge? It’s pretty simple: $0.20 to create or renew a listing and 3.5% of each sale (excluding what you charge for shipping). That’s not too bad. Let’s say you list a $10 item and it sells. Your fee will be $0.20 for the listing and $0.35 for the sale, for a grand total fee of $0.55. It sure beats the $20 – $75 per month you can end up paying with some online venues that charge by the month. When I say limited, I mean that you can’t customize anything aside from your avatar and banner. If your art is dark and industrial, or masculine and earthy, you might not enjoy the teal and orange tones on your storefront. However, it seems to me that Etsy has made an effort to minimize these colors so they don’t clash with the shops. Remember when I said Etsy fees were inexpensive if you’re starting out? Well, if you’re pretty well established, renew listings frequently, and have a lot of sales or sell high-priced items, it can get pretty expensive. At some point, you’ll probably look at the price of a monthly fee website and realize that you’re paying more than that through Etsy. All websites have their terms of service and guidelines they want you to follow. However, sometimes Etsy’s seem really restrictive. Read the dos and don’ts carefully. You might be breaking a rule and not even know it. There are things Etsy doesn’t want you to put in your title; no links to other websites that sell the same item in your listing; don’t abuse tags. The list goes on and on. Listing items on Etsy takes a lot of time and effort. Because of the way the search feature works, you need to pay attention to the title you’re giving your item, otherwise it won’t easily be found in searches. Not only that, but there are a ton of settings and boxes to fill in. It’s better now than it used to be, but you still have to adjust several settings so your item shows in Etsy’s categories as well as your own. And then there are tags, also known as keywords. Tags can be really helpful in getting your items found in search, but you’re only allowed a few. With so many changes to Etsy’s search feature, it can be hard to know which tags should be in the title, which tags should be left out, etc. Maybe it’s not that hard for everyone, but I always agonize over tags. No matter what, your Etsy shop will always be http://www.etsy.com/shop/yourshopname. In other words, there’s no option to pay a little extra to customize your URL so that it reads www.yourshopname.com. While this isn’t a big deal to a lot of people, it’s still something to consider. Now let’s talk about Big Cartel. Maybe I’m starry-eyed over Big Cartel because I’m still new to it, but I happen to think it’s the bee’s knees. That’s not to say there are no cons, but the cons are really nothing you can’t work with, or even use to your advantage. Big Cartel does do some shop promotion. They do a featured store write-up on their blog, and a Featured Store Friday post that runs all week. The biggest way I’ve noticed they do promotion is in the form of the store directory. There are 12 categories in the directory. When you click one, you automatically see 15 store avatars. These rotate regularly, so there’s always something new. In the last month that I’ve had my website, I’ve been on the Big Cartel directory page twice that I know of, and I’ve gotten a good amount of views from it. I don’t remember the last time I was on Etsy’s front page. When you click the ‘More’ button on any category, you will see the avatar for pages upon pages of websites. You can view them by most popular, last updated, and by name. It’s a pretty cool directory to browse. If you’re doing a lot of sales, a Big Cartel shop is probably exactly what you want. They have four pricing options ranging from free to $29.99 a month, and that’s it. There are no additional fees. You do not pay to list an item, you don’t pay extra to use any of their features, and you don’t pay a fee when something sells. As the plans go up in price, they offer features that the less expensive ones do not. Make sure you choose the one that’s right for you. When I first decided to sign up, I almost went for the most expensive one. At $29.99 a month, I would have been spending less than half what my monthly Etsy fees were! However, I decided to go with the next one down for now, just to try it out. Even without HTML knowhow, you can make your website all yours. Currently, there are three templates to choose from, and you can change everything from the background to the font and even the product layout. Once I got my website set up the way I wanted it, I noticed a few things that I didn’t like in the template. For example, my info block—which includes links to my bio, store policies, etc.—was showing up at the very bottom of the sidebar, and I wanted it at the top. If I knew HTML, I would be able to customize that, too. Since I don’t, I thought I was stuck with it. However, after a visit to the help forums, I had an answer from admin telling me exactly how to change it! Now my info block is at the top, and I did it all by myself with HTML. I feel like such a big girl. I’ve also done several internet searches and learned how to do things like add Facebook ‘Like’ and Twitter ‘Follow’ buttons to my main page as well as each item, all through HTML. If you do know HTML, the possibilities are endless! There’s also a super cool preview feature for when you’re editing HTML, as well as some safety features to minimize the possibility of saving a messed up page due to an HTML error. The inventory tracking feature tells you when you have items that are sold out. I like that you can make an item still show in your product list even if it’s sold out, or you can allow the website to oversell items. I like the inventory feature better than Etsy’s because it’s all on one page, whereas on Etsy you have to search around through a few pages to see and relist sold items. The stats are gathered through Google Analytics. Once you set that up, you’ve got some basic stats right there on your personal dashboard. Right off the bat, I loved how easy it was to list items on Big Cartel. You don’t have to mess with tags like you do in Etsy. It’s still very important that you know what keywords to use, but you can work them into the title and description, which is much easier for me than picking a long list of tags. Because Big Cartel is a storefront/e-cart, you can have a custom URL. This option only comes with some of the packages, so if this is important to you, make sure you choose the right package. If you don’t opt for the custom URL, your web address will be www.yourwebsitename.bigcartel.com. On your Big Cartel dashboard, there’s a list of all of the sales you’ve made and when. But that’s it. If you want more info on these sales, you can click the link, but it takes you to the Paypal invoice. This isn’t too big of a deal, especially if you’re good at inventory tracking. If you’re not good at it, now’s the time to learn how to do it. I’ve seen a huge difference between the stats reported on my Big Cartel dashboard and those on Google Analytics. Being that Big Cartel gets their data from Google Analytics, I’m not sure what the difference is here. Some have said that Big Cartel stats don’t filter out bots that hit your pages. For example, one day my dashboard reported that I’d received 224 page hits. However, Google Analytics told me I only had 28 individual views, with 101 page hits. One thing about the Big Cartel dashboard stats I do love, is that the it shows incoming links and any search terms that brought visitors to your website. Google also shows this, but it’s easier to find on the Big Cartel dashboard. If you see search term from a search engine, you can click that term and it takes you directly to the search. It’s pretty cool to see where your page comes up in a Google search! While the store directory on Big Cartel is pretty cool, it’s limited to searching for specific stores. You can’t search for products through the search feature. Both Big Cartel and Etsy have some great features. I don’t believe that one or the other is right for everyone. Look over my pros and cons for each and see which ones are the most important for you. My advice: if you’re new to online selling and you’re not sure how to market and network, Etsy is probably the right choice for you. If you know how to market, have a good network built up, and a professional online presence with a custom URL is important to you, Big Cartel is probably for you. I hope I’ve answered a lot of your questions. If you have any others, please feel free to let me know! Coming soon to a website near you! Well, one website in particular: mine! The stacking rings pictured above are already available. The quote says “Imperfectio pulchritudo est. Insania ingenium est”; Imperfection is beauty. Madness is genius. You can read more about this quote by clicking the photo. I love wearing Latin quotes, because you can have a very personal message on your jewelry without everyone knowing what it means. Something that reminds you of something (or someone) important, inspires you, or just makes you smile. I had intended to do a whole line of Latin jewelry awhile back, but I got sidetracked. Keep your eyes on the Latin Quotes section of my shop, here: http://janefont.bigcartel.com/category/latin-quotes. It’s going to start filling up soon! I would LOVE to take requests! If you have a Latin phrase, quote, or word you would like on a piece of jewelry, let me know. If you have a phrase you would like translated to Latin, I can do that too. No, I don’t know Latin, but I make sure to research all of my phrases through as many resources as possible, to be sure that the quote is as accurate as possible. Really, anything can be translated, and doesn’t everything look prettier in Latin? Feel free to drop by my Facebook page and tell me your favorite quotes. So I was doing what I always do when my dogs wake me up at 6:30 in the morning (yes, even on a Sunday), perusing Facebook. I found a page that I liked, and I wanted to ‘Like’ it. I don’t know about you, but the only reason I ‘Like’ a page on Facebook is so I can stay updated on that topic. I want to see their blog posts, new product, jokes, videos, quotes of the day, and if I decide I don’t want those things anymore, I unlike the page. So I’m not sure why Facebook has made this change, but it kind of bugged me. When you click ‘Like’ on a page, the above drop-down will appear. 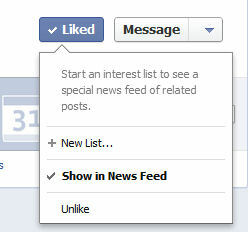 Click ‘Show in News Feed’. If you don’t, you will not see updates from this page. Just to be sure, check a couple pages you are already a fan of, and make sure ‘Show in News Feed’ has a checkmark next to it. Do this by hovering your mouse over the ‘Liked’ button on the right-hand side of the page. After a second or two, the menu, as pictured above, will drop down. When I checked several pages I’m a fan of, the ‘Show in News Feed’ button was already checked, so it appears your existing pages will default to this. Make sure you’re on the lookout for this and other unannounced Facebook changes. I can see why this might be a useful tool in some situations, but I don’t like that it defaults to not showing updates in the news feed. Sneaky Facebook. 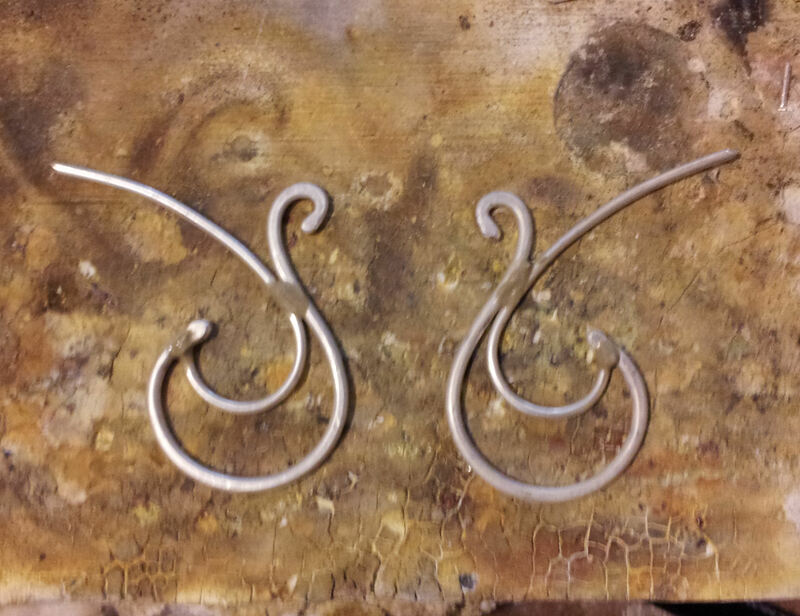 My latest obsession is scroll work, like the earrings above. 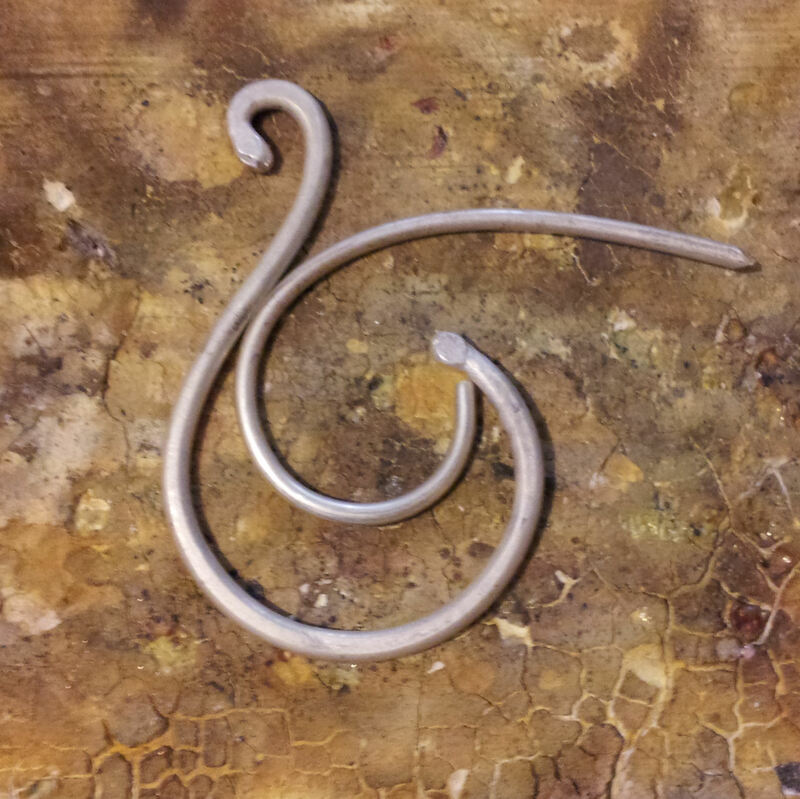 I love swirls and coils, and flowing shapes, and I especially love the challenge of making mirror image pieces. In this tutorial, I’m going to show you a little bit of my process. 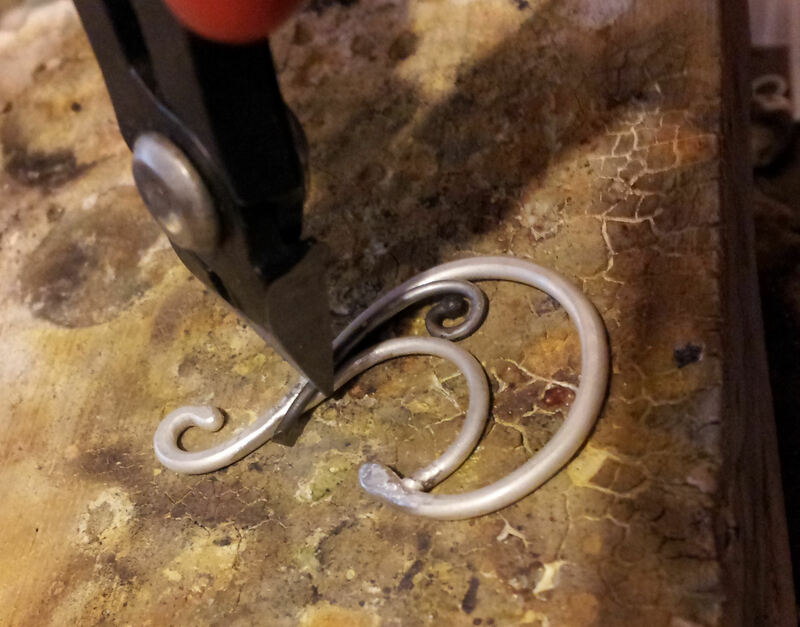 Specifically, I want to show you how to make scroll shapes using nothing but pliers and your hands, and also how to get nearly perfectly matched pairs of the same shape and size. You know those jigs? The kind with the pegs that you wrap wire around to get certain shapes and sizes? If you have one, put it away. Don’t touch it. You’re going to do this on your own, and here’s where you’ll start: with some sketches. Ok, no judging my drawing skills, or lack thereof. I don’t usually get too detailed with my drawings, I just use them to try out shapes I’m thinking of, or to get ideas. 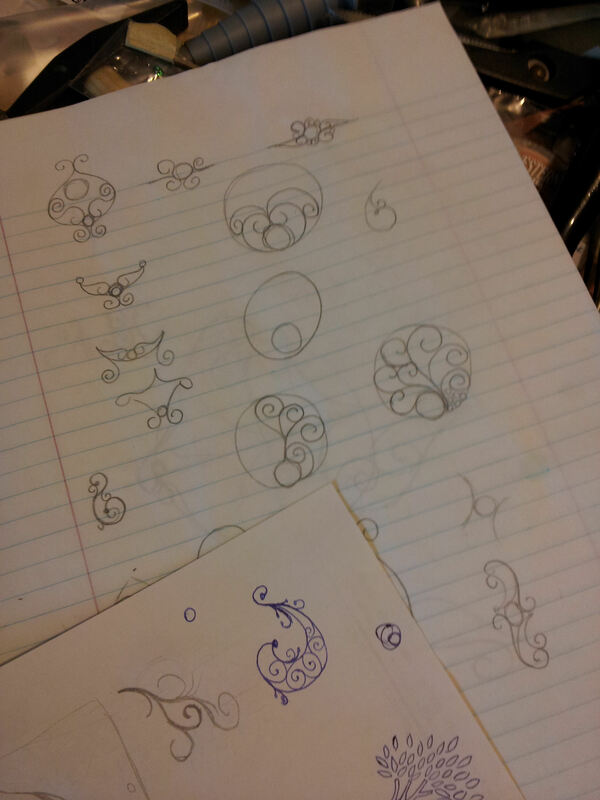 Also, if you look at the lined paper closely, you might recognize a few of the sketches as earrings that came into being. See the one drawn in blue pen on the overlapping page? That’s what I’m making today. Once you’ve decided on a design, cut a piece of wire about 1.5 times longer than the desired length of the finished style. A little longer if the finished style will be wide. I don’t really measure. You know the saying ‘measure twice, cut once?’ I like to throw caution to the wind and just eyeball it. Once you have your first piece cut, use it as a guide to cut the second piece. I like to ball the ends of my wires. If you’re going to do this, ball the wire before you cut it. 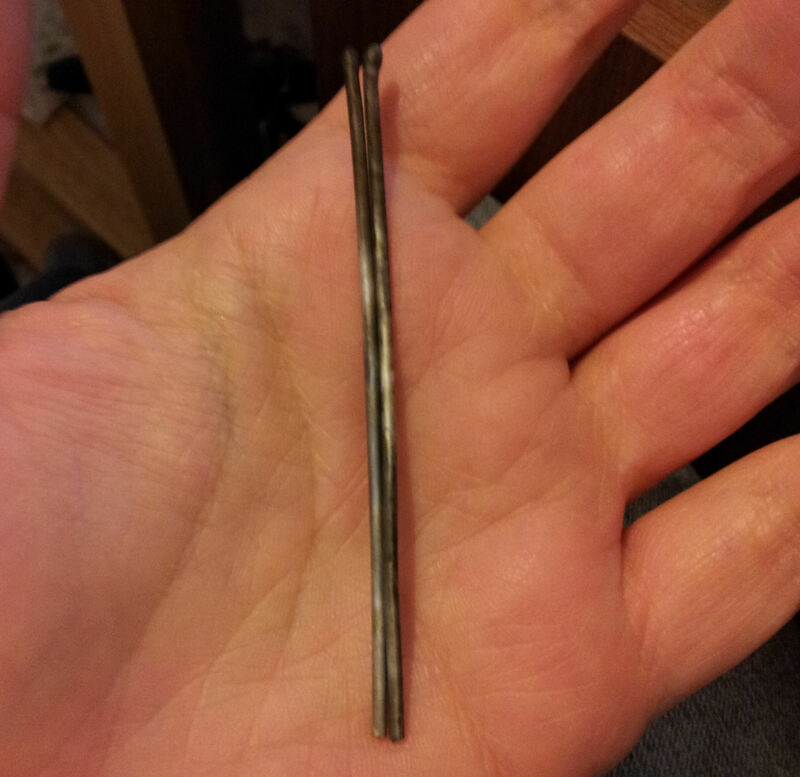 If you cut the lengths and then ball them, you might end up with slightly different lengths. If you’re not going to ball up the ends, just cut them and finish the ends so they’re not sharp. 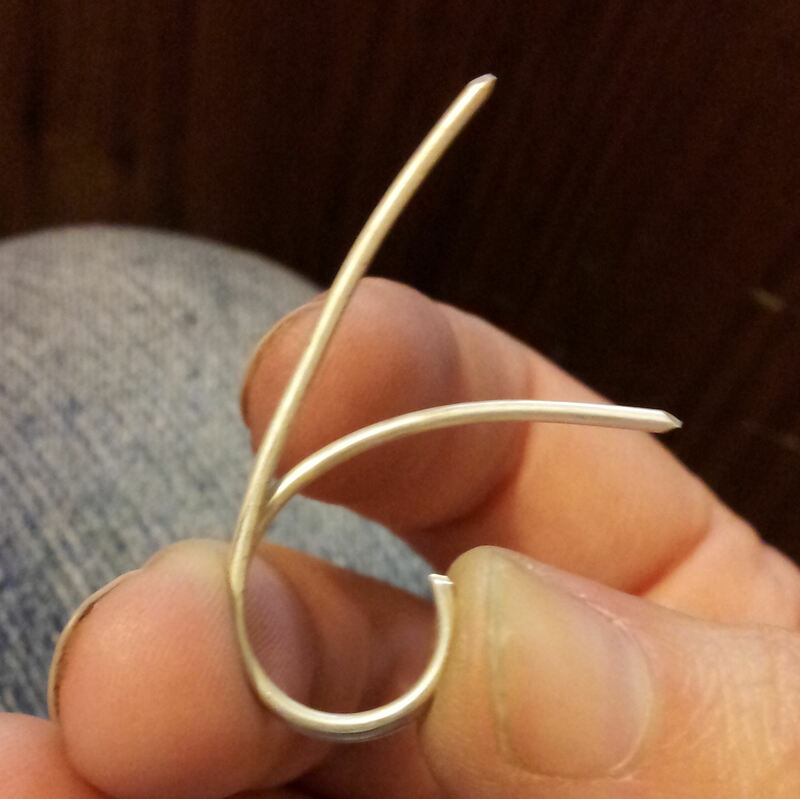 I used 14 gauge sterling silver for my primary shapes. 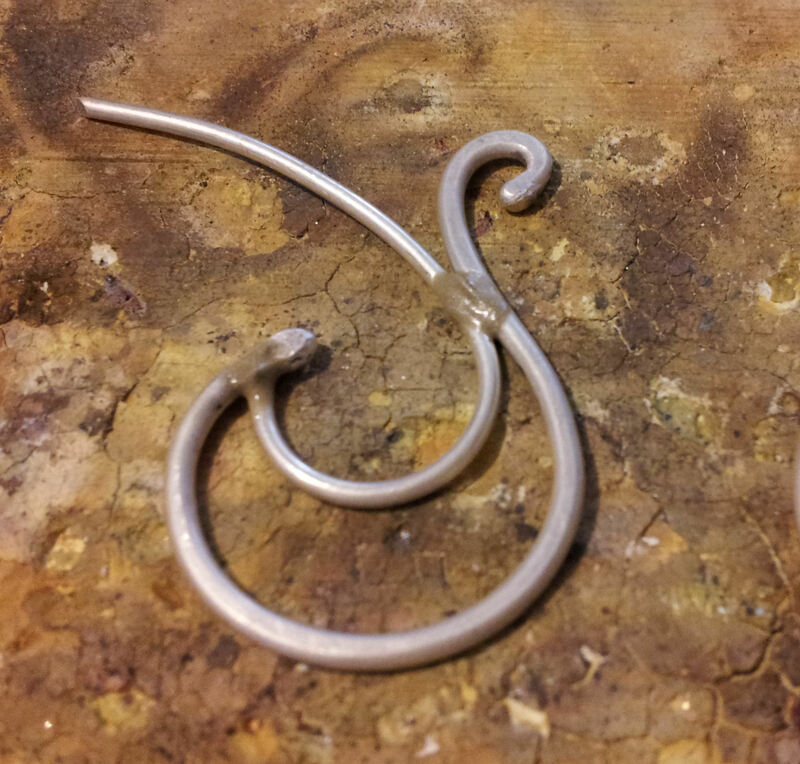 After your primary pieces are cut and the ends are finished, I recommend annealing and pickling them before you start. 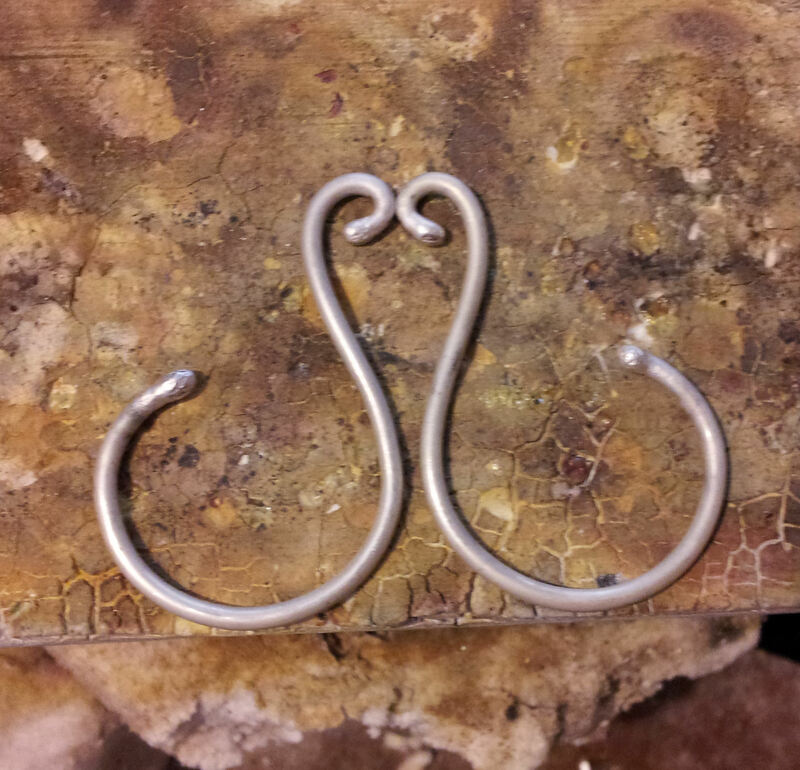 If you anneal them, you’ll have a much easier time getting a smooth, even shape that you make by hand. Now we can start shaping the first wire with pliers or bail makers. Try to remember what size on the bail making pliers you used for what part of the scroll. If you’re using tapered round-nose pliers, make a mark with a sharpie on the pliers where you bent the wire. Notice in the photo below that the wire is not bent tightly around the pliers. This shape is almost completely formed by hand. I use the different sizes on the pliers to prevent the ends from being bigger or smaller than I want. 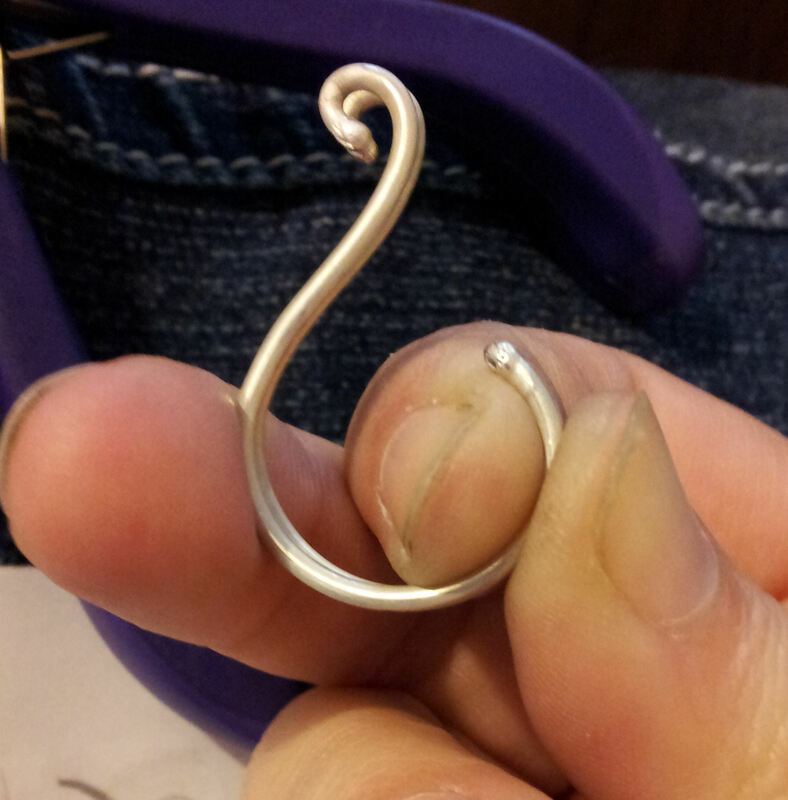 Once the wire is grasped in the pliers, I use my other hand to gently pull the wire into a round, flowing shape. Watch for flat spots and angles, and straighten them out with your hands and pliers as soon as you see them. 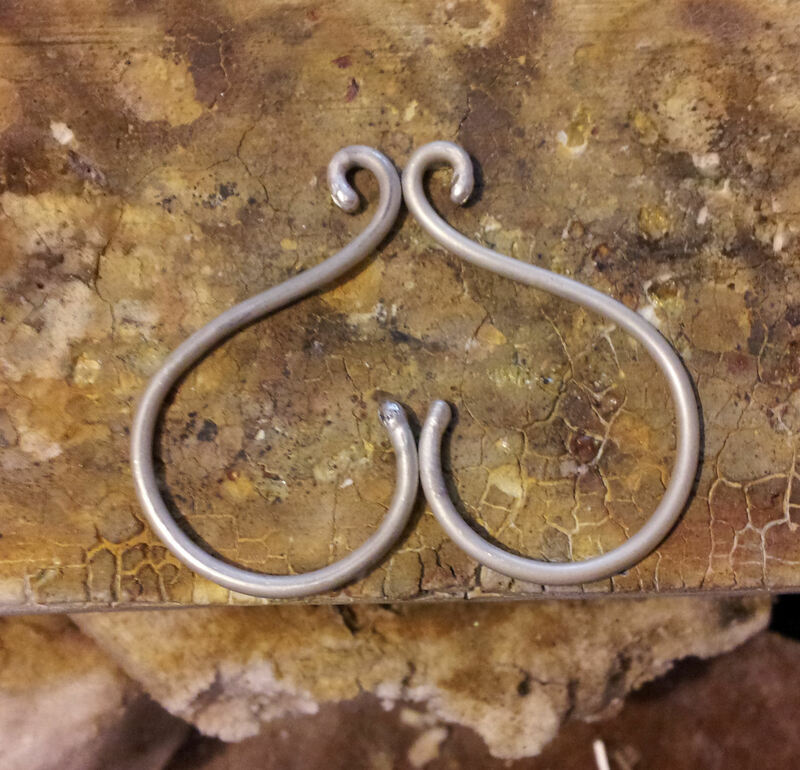 If the piece becomes work hardened, and you can’t shape it by hand, anneal and pickle it again before continuing. Keep going until you like the shape. 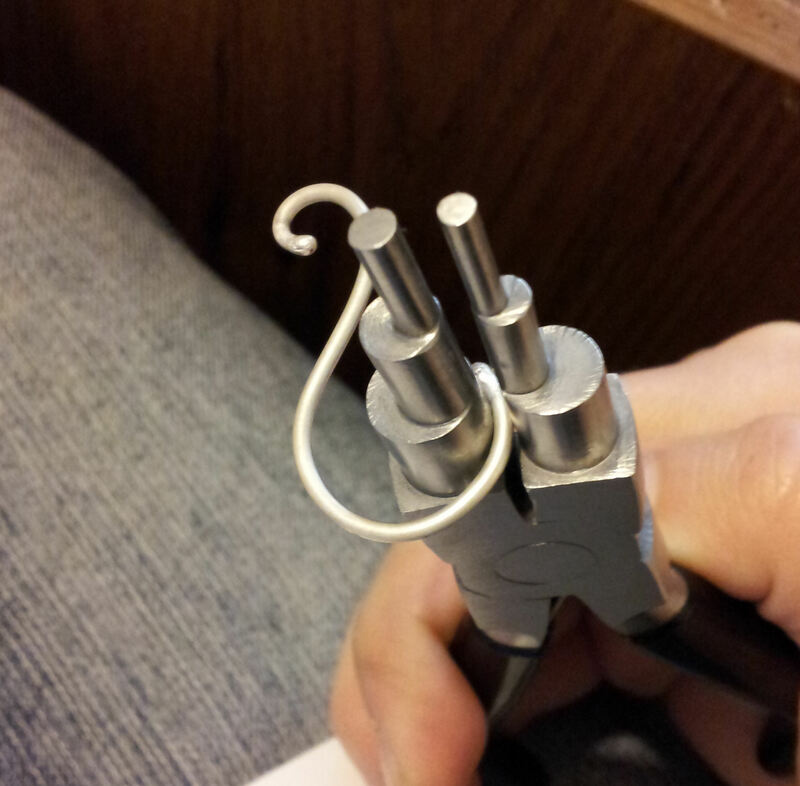 Using the same size on the pliers, start bending the second wire into the same basic shape. Make sure you mark your original shape so that you know which piece you’re working on bending. The piece on the left of the photo is my original piece. I don’t know if you can tell in the photo, but I burnished the top so I could easily tell it was the original. The piece on right is the second shape. 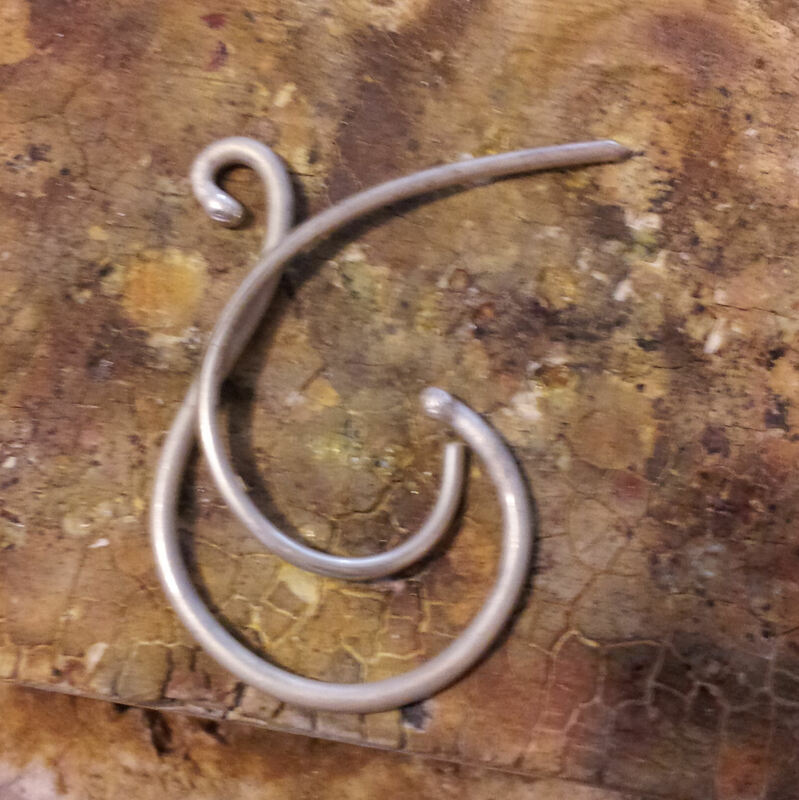 I really didn’t do any shaping other than the initial shaping with the pliers. Now that it’s in roughly the same shape as the first, I’m going to show you how to make them the same! Keeping your original shape on top, hold them up against each other and match them up by the finished ends to check for consistency. See how I have the ends held together between my fingers? It really doesn’t matter which end you choose to start with, just make sure you always use the same end. Meaning, don’t match them up by the other end when you check them the next time. Obviously, there are several spots that need to be adjusted on the piece in back, but now I know exactly where to start. Make little adjustments, and keep checking on your progress by matching them up again. That looks about right! This is both pieces held together. You almost can’t tell they’re both there. That must mean they’re perfect! No… not quite. We’re going to look at them a couple more ways before we deem them good enough to move on. Lay them side by side in several different orientations to check for differences. I can see a couple of spots that still need some adjusting in the first photo. Can you? 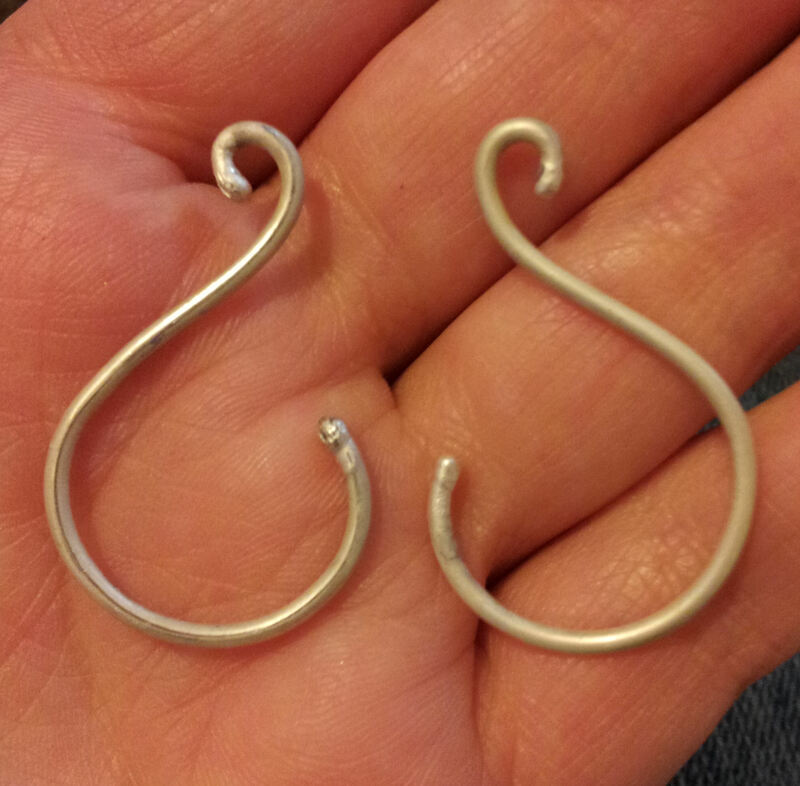 The long part of the shape on the left piece isn’t quite as graceful as the one on the right. In the second photo, I can tell that the right-hand piece needs a little adjusting on the top loop. Make the adjustments that you see, and go through both methods of checking before you move on. Once you’re satisfied, you might want to give them a couple of taps with a hammer to make sure everything is level. I used the flat side of a ball-peen hammer because I wanted to flatten out the balled up ends of the wire a little as well. You can flatten out the pieces as much or as little as you want. I do recommend at least hitting them with a rawhide or rubber mallet just to make sure they’re level. If they’re not, your secondary and detail pieces won’t sit evenly. Once you’ve hit them with the hammer, guess what you have to do? That’s right! Go through the checking methods again to make sure they didn’t get distorted while hammering. Now we’re going to make the secondary pieces. I used 16 gauge sterling silver wire for this piece. 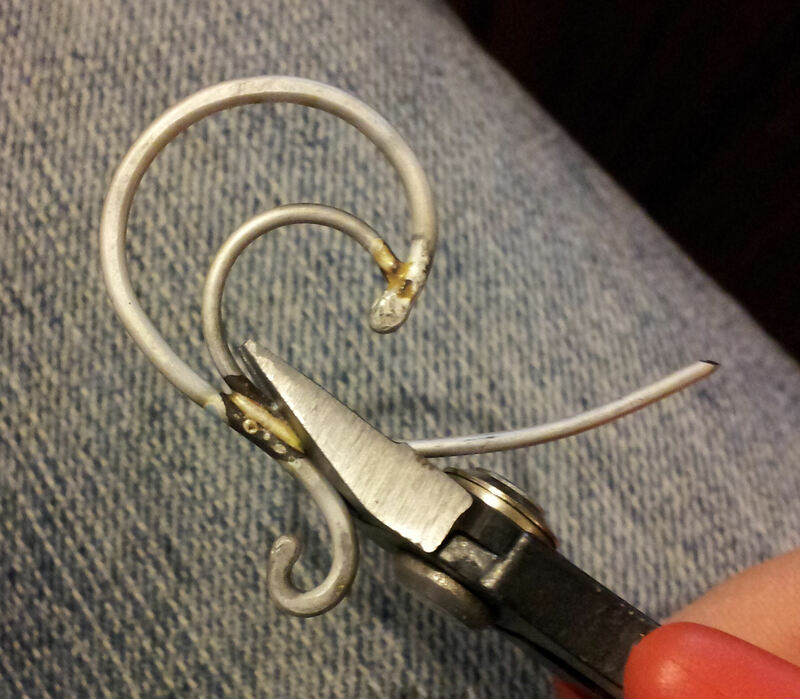 Cut two identical lengths of wire and shape them using the methods above. Place them on the main piece in several places and orientations to decide what you like best. I want them to lay about like they are in the below photo, but this piece still needs some adjustments. Continue shaping until you get the best fit, and then shape the other piece to match. Don’t worry about making the ends fit just right. 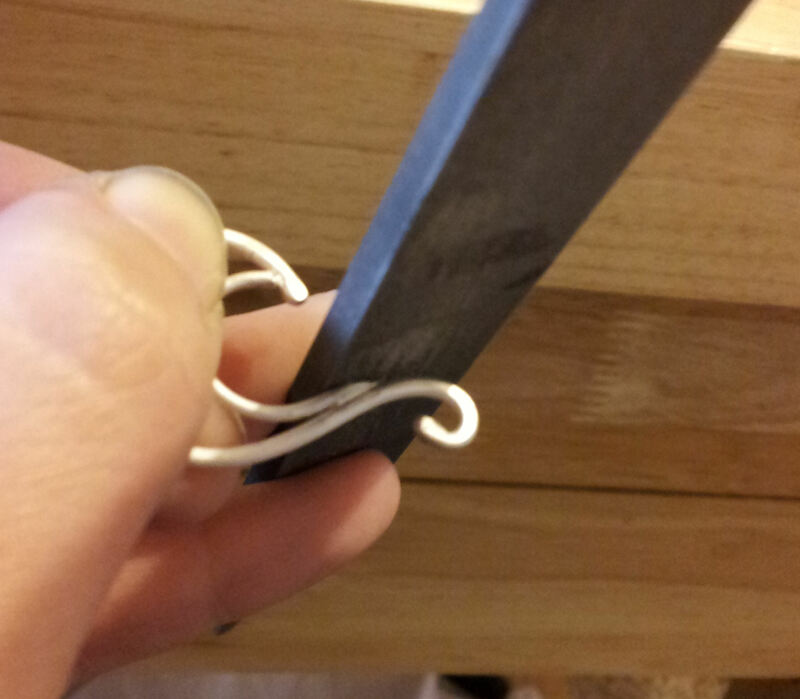 You’ll cut off the excess and file it once it’s soldered on. Remember to hold them against each other to check that the size and shape are the same. Try each secondary piece in each primary piece. You may find that one secondary piece fits better in one primary piece than it does in the other one. Once you know which secondary piece fits best in which primary piece and they look the same, you can solder them in. I like to use paste solder, but you can use any type of solder you prefer. Some people don’t like to use paste solder, and I can understand why. Unless you pick up the piece and scrape the solder on, it really doesn’t stick to the metal. Once you have your pieces laid out the way you want them, you really don’t want to pick them up and mess that up. Here’s a little trick that might help. Warm your solder board with your torch, then place the piece on the warm spot. The heat will gently transfer to the silver and make it warm. When you touch the solder to the metal, the solder will melt a little, stick to the metal, and get down into the crevices. Don’t heat the piece directly because if it’s heated too much, the flux will burn out of the solder and the solder won’t flow. 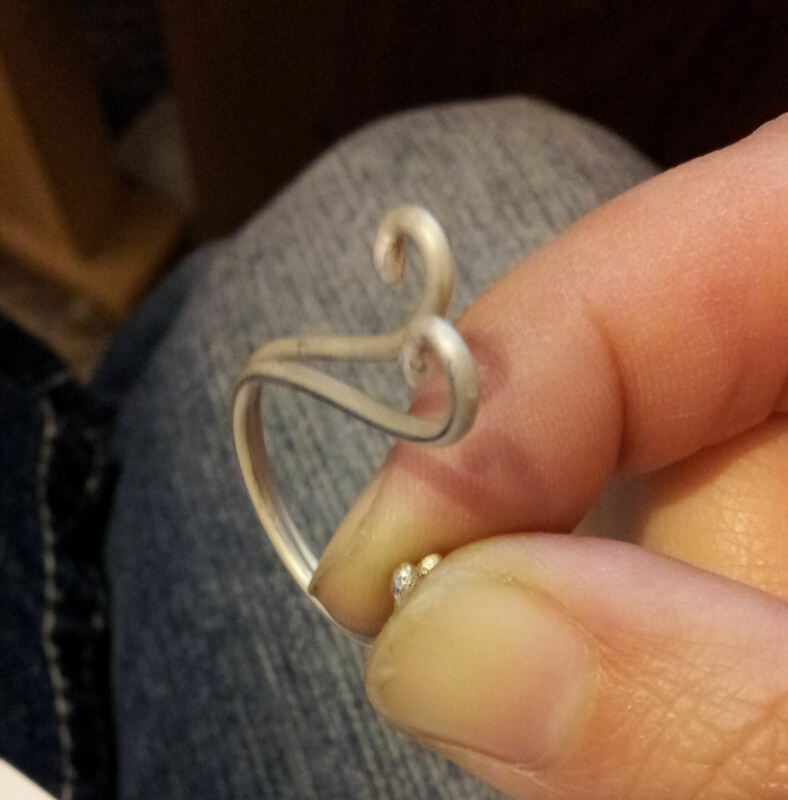 You can see in the photo that the solder is kind of shiny and creamy, rather than firm and dull. Much easier! Always solder both sets at the same time. Lay them out side by side, in opposite directions. This helps you to maintain a visual balance so you know you’re soldering each piece symmetrically with the other. Also, make sure that the side you solder them on right now is the side you solder them on every time you add a piece. This will keep everything flush on one side, even if you use thinner gauges of wire, and it will make sure you only have one side to clean up. Once they are soldered, you can use your flush cutters to cut off any excess from the ends. Cutting at an angle will help you smooth it out. Be careful not to cut into the primary piece, and don’t cut too far down into the solder join. If you can fit a file into the area, taper down the cut with a file. If the space around it is too small for a file, use a sanding bit on the flexshaft. Don’t file into the primary shape, or you’ll get an ugly little divot. You can smooth out the file marks with a fiber wheel. Ok, now we’re going to add the details. Obviously, you’re going to use the same steps that you have thus far, with one change. Many times in my designs, the detail pieces require fitting the end into a crevice created by other pieces joining. Here’s how I do that, after I’ve made the shape for the space I want. If the wire is too long for the crevice, place it where you want it, and gently pick it up with your flush cutters, right where you want to cut it. Don’t cut it while it’s laying on your piece because you might cut or mar the finished piece. Once you have the length you like, file the ends down to a point on both sides to give a tighter fit. New Website!… Again, and a Giveaway! 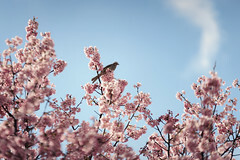 Clicking the above photo will take you right to my new website at http://www.janefont.bigcartel.com! At 10:00 am MST today, I will be unveiling my new website. Yeah, I know I’ve done this before, but last time I had delusions of grandeur, and I had no idea how to create, maintain, or run an actual website. Now I’m much wiser and have something I’ll have no problem maintaining, and it even looks good! I think… This is where you come into play. As part of my unveiling, I’m looking for your feedback. I will be posting the link to my Facebook page, and I ask that you look through and give me your feedback. Think it’s awful? Tell me! Love it? Tell me! It’s a bit different than anything I’ve done, so I would love to know what you think. You can leave feedback anyway you like: on my Facebook wall, in an email (you can get my email address on Facebook), a Facebook message, or you can even contact me through my new website! Pretty nifty. The person who I feel gives me the most constructive feedback will win any piece of jewelry from my Etsy shop that they like, up to a $60 value. Everyone who pins items from my new shop or shares the link on Facebook will also be entered for an extra prize! (To be entered, please copy and paste on my Facebook wall the link to any pins from my website that you create.) The deadline for feedback entries will be Friday evening.